Well hello everybody! That's right, we're back because Big Brother 19 is about to start. 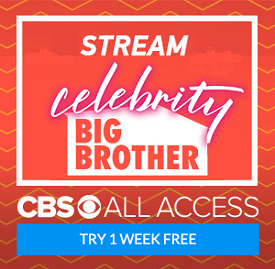 This past Monday, CBS released the first interviews conducted with this season's cast, followed by chats with the Canadian version of Entertainment Tonight and radio station KFROG in Los Angeles. Tonight, Scott, Colette, and Mike showcased the highlights of these chats. Or should I say lowlights? Quite often, that was certainly the case. Despite some of the typical defiiciencies in this group of contestants, this does look to be a very fun season. Yes, it's quite possible the "twist" could lead to some production interference. At least once of hopes that is not the case! Colette, you're the insecure one. You're the weak person. Have you ever heard that we dislike the things in others that we most dislike in ourselves? It's true. Scott is in love with Colette, she knows and is stringing him along for attention. Mike is the only person on this show that is worth listening to. He needs to just walk away or stand up and get rid of Colette. It's obvious that he can barely tolerate her rants anymore. Find new co-hosts! I love the concept of this show but I have better things to do with my time than to listen to this cruel, selfish person lay into the other hosts and the houseguests (and the show hasn't even started yet!). Colette you're a boring person, which is why I'm tired of listening to your never-ending, broken-record takes... You watch tv all day and judge everyone you meet because you secretly hate yourself. Get a therapist. P.S. I also terminate my Patreon donations. Colette, thanks for ruining something I used to look forward to.